The McMaster Accelerator Laboratory (MAL) houses three low energy particle accelerators, as well as a suite of other radiation sources, together with detection systems and their associated electronics and counting equipment. 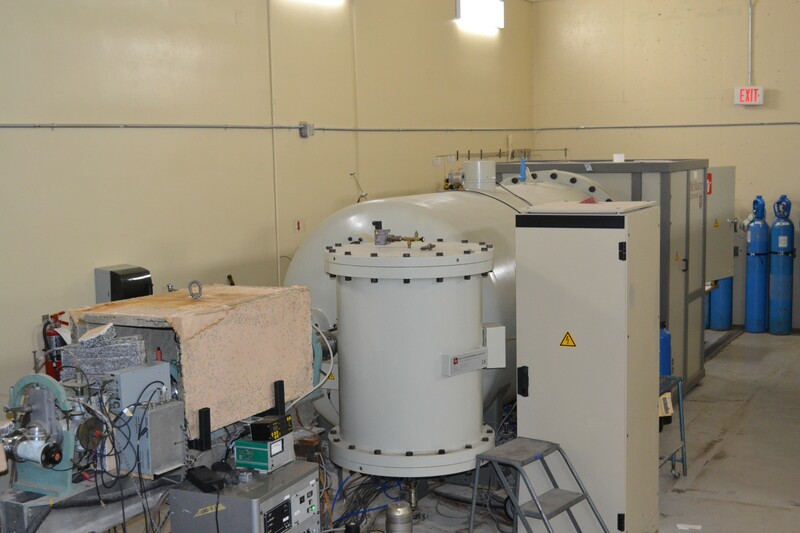 The McMaster Accelerator Laboratory (MAL) houses three low energy particle accelerators, as well as a suite of other radiation sources, together with detection systems and their associated electronics and counting equipment. One KN van de Graaff has a maximum terminal voltage of 3 MV and a proton current capability of up to 100 MAmp. This is most frequently used as a neutron source with well defined characteristics by means of the proton reaction on lithium. It is also used as the basis for nuclear resonance absorption experiments. A second KN is being configured as Canada ’s first radiobiological microbeam. This will make possible precise research into the biological response of cells and even sub-cellular systems to precisely targeted radiation, both in terms of the response of cells in the target beam and those that are in the immediate surroundings. The third accelerator is a tandem machine with a nominal 1.25 MV terminal voltage (hence a total of 2.5 MV accelerating voltage) and 800 MAmp capability. In fact both of these criteria were exceeded in commissioning trials. The MAL hosts a variety of research programs, including neutron metrology and radiation biology. However, the program which is most heavily developed, characteristic of McMaster and most unusual internationally is in Occupational Nuclear Medicine. This involves the use of radiation techniques to analyze the amount of various elements present in the human body non invasively. Most of these are toxic trace elements, such as lead or cadmium. Some can be both beneficial and/or harmful, such as manganese or strontium. The role of others is controversial or little understood, such as aluminum. For some elements, such as arsenic or mercury, techniques are still underdevelopment and are not yet ready for widespread application in research and monitoring of human health, even where pilot studies have been conducted. One other Canadian laboratory now offers the in vivo lead measurements, developed at McMaster. Several laboratories around the world offer these lead measurements and a few other laboratories have slightly wider capability. No other laboratory in the world offers the range of in vivo analytical capability found at McMaster. 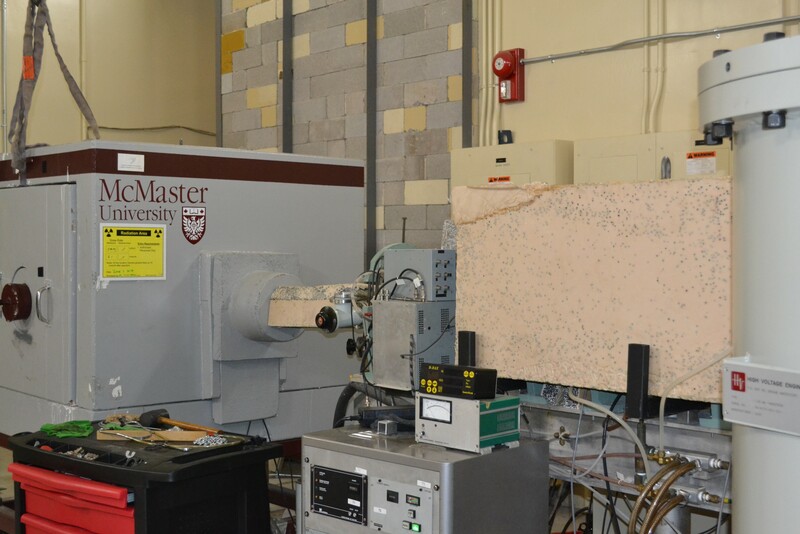 The KN accelerator dates back to the early days of the McMaster Accelerator Lab. It is a linear, horizontal, single ended Van De Graaff accelerator with a design rating of 3MV. It was built in 1956 by High Voltage Engineering Corporation of Burlington, Massachusetts. 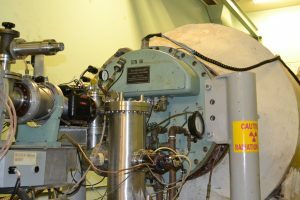 This accelerator was obtained from Princess Margaret Hospital in Toronto in 1970 where it was used for cancer research. 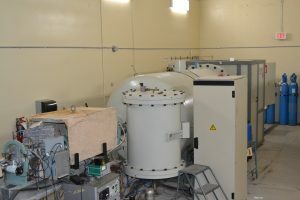 The KN accelerator is used for experiments in many different areas. 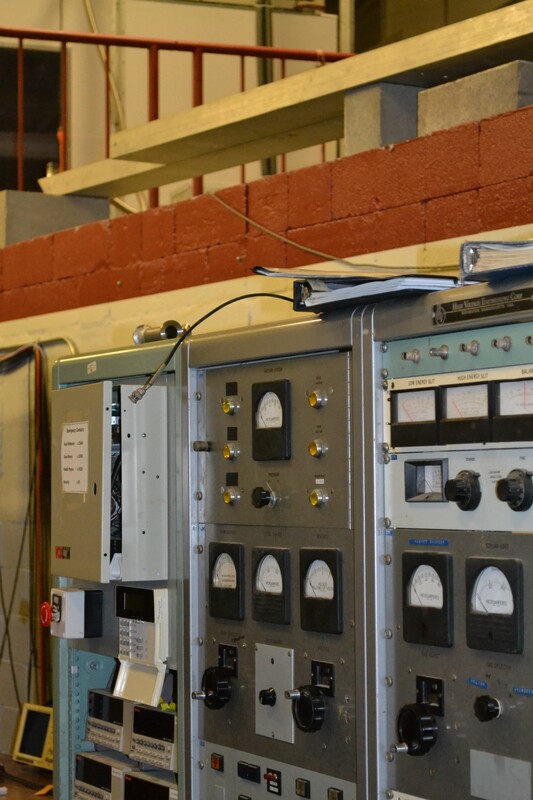 In the Medical Physics field, tests are conducted on irradiated samples of simulated human teeth and tissue, and used to obtain information on radiation exposure to body parts and to help contribute research in finding cures for diseases. 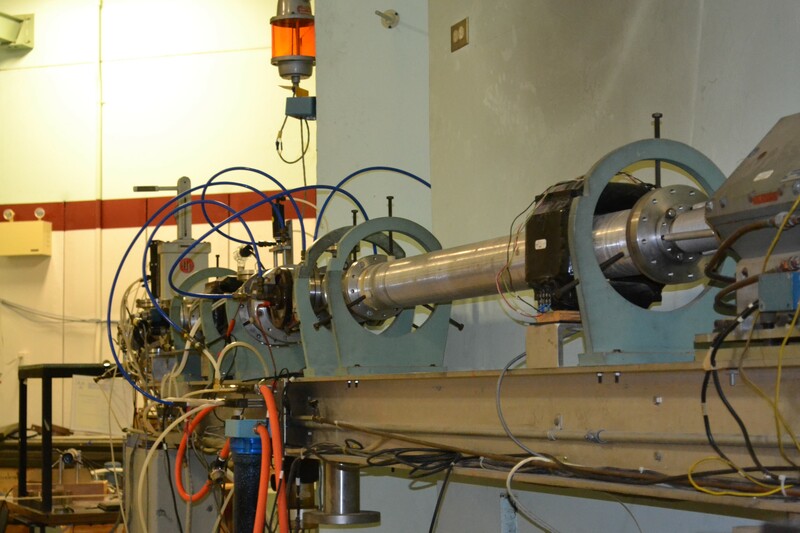 In May 2003, McMaster Accelerator Lab took delivery of a 1.25MV Tandetron tandem type accelerator custom made by High Voltage Engineering in the Netherlands. This facility will be used to study low level radiation dosimetry by delivering single helium or hydrogen ions into individual cells. 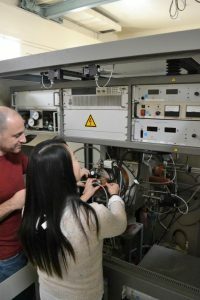 Precise targeting of the particles will allow researchers to determine the effects of radiation on specific cellular components rather than looking at the effects of broad radiation doses on whole organisms as is more commonly done. 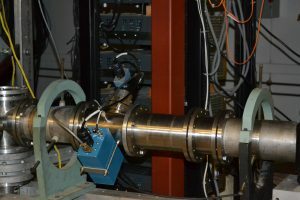 The accelerator being used for the BEAM is a 3MV Model KN Van De Graaff that was donated to the MAL from the University of Guelph Department of Physics. 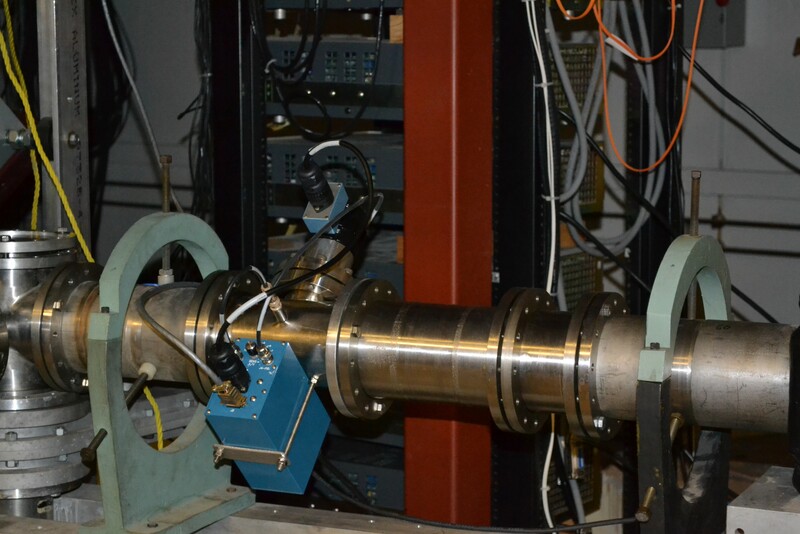 A single-particle irradiation beam, it is used to study low level radiation dosimetry by delivering single helium or hydrogen ions into individual cells.